About This Shirt: Expertly screen printed upon Mens/Unisex: Gildan Heavy Cotton (5000) in Navy, and Ladies:Bella "Favorite Tee" Ring-Spun Super Soft Jersey Knit (6004) in Navy. Not sure what size you need? 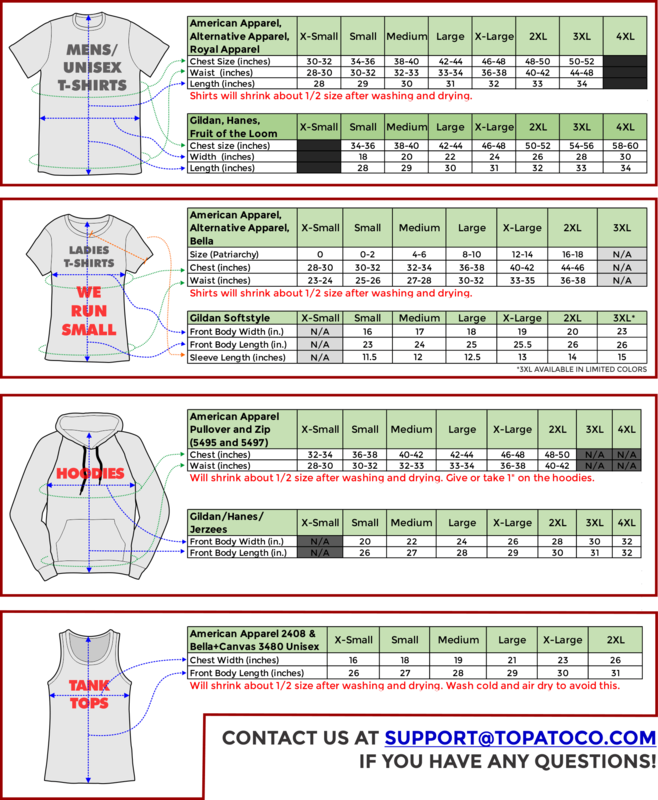 We have size charts!